Cristiano Ronaldo with his sisters Katia Aveiro (left) and Elma Aveiro (second from right) in 2016. 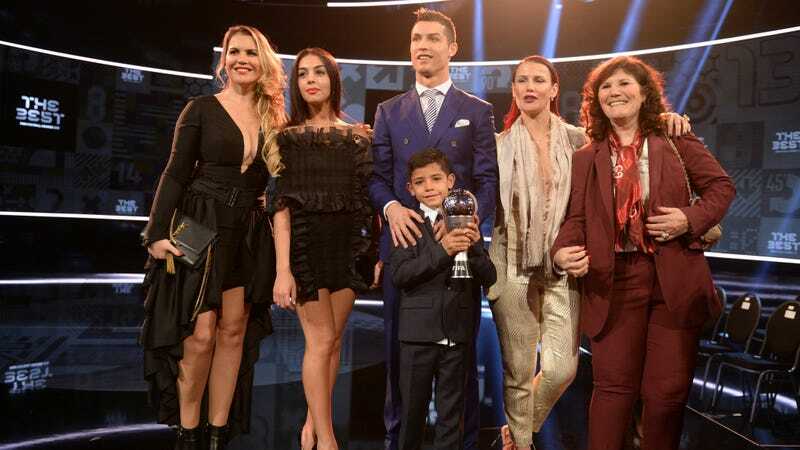 After Real Madrid’s Luka Modric won the Ballon d’Or yesterday, becoming the first person not named Lionel Messi or Cristiano Ronaldo to earn the award since 2007, Ronaldo’s sisters were extremely salty about it. Ronaldo, who finished in second place, didn’t even bother showing up to the award ceremony. Cristiano Ronaldo&apos;s Sister On Red Card: "They Want To Destroy My Brother, But God Never Sleeps"